UnionLine, your trade union law firm, has once again been shortlisted in the annual Modern Law Awards. The firm has been shortlisted for the Business Growth Award, which recognises exceptional expansion in scale and practice areas alongside improvements in client service. Other shortlisted companies in this category are ARC Pensions Law, Edward Hands and Lewis Solicitors, JDX Consulting, Keystone Law, and Simpson Millar LLP. In addition to the firm being shortlisted for an award, UnionLine executive board member and GMB Head of Legal Maria Ludkin has been shortlisted for the Lawyer of the Year award. The award for Lawyer of the Year recognises major contributions to their practice over the last year. Maria has been shortlisted alongside Nicholas Bevan, James Scozzi from Elite Law Solicitors, and Nigel Priestley from Ridley and Hall Solicitors. 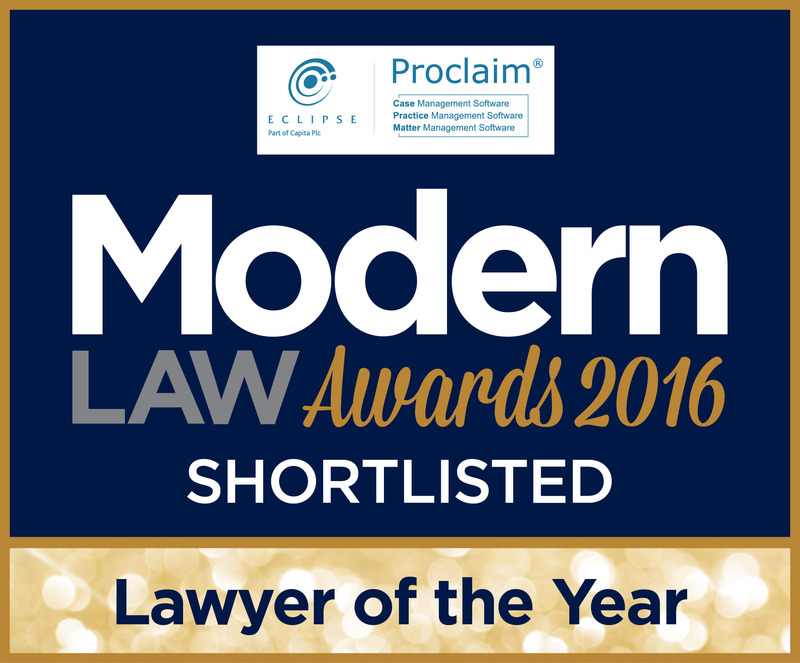 The Eclipse Proclaim Modern Law Awards are now in their fourth year. The awards recognise entrepreneurship, development and best practice in modern legal services. Winners are selected by a panel of judges from across the legal industry. The winners will be announced at a prestigious ceremony at London’s Hurlingham Club on Thursday 10 November. The awards will be presented by comedian Tom Stade. At the Modern Law Awards 2015, UnionLine was awarded ABS of the Year (26-100 employees).